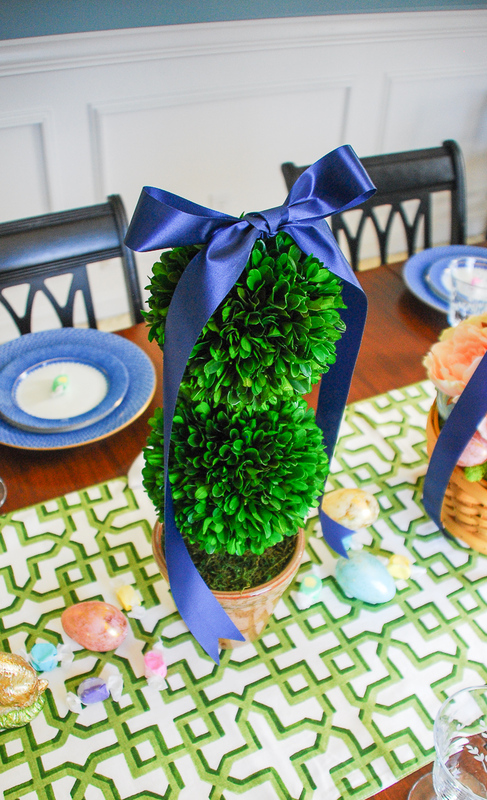 Set a bright and colorful Easter tablescape with a blooming Easter basket and boxwood topiaries for a whimsical centerpiece + get my recipe for pesto asparagus with poached egg! Hey Y’all & Happy Easter!! 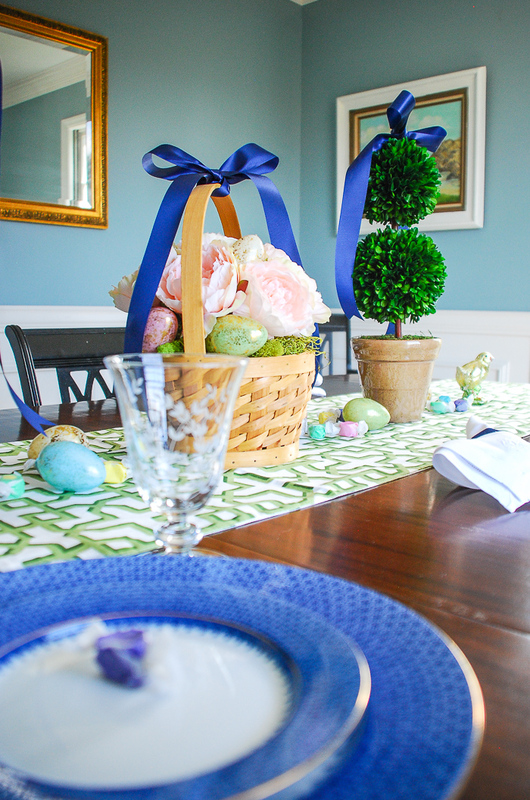 What a joyous season this is with the flowers budding, temps rising, and sun shining…rebirth and renewal all around. 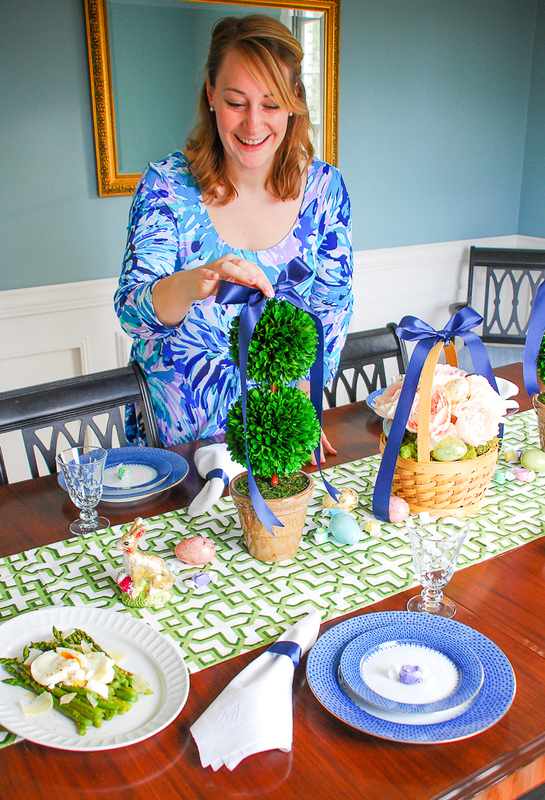 I love decorating for Easter and spring; there are such happy colors to use, cheeky patterns like gingham, and sweet motifs with bunnies and posies! 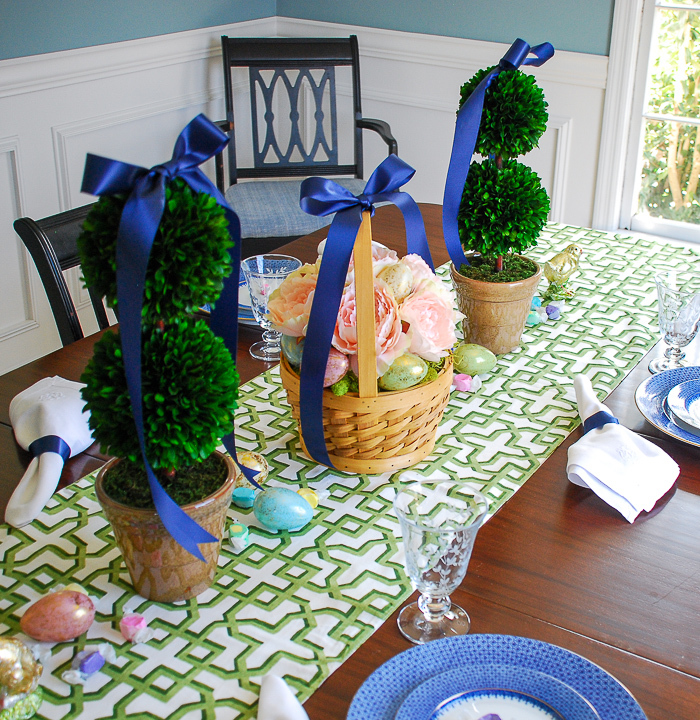 Next I added two boxwood topiaries for some height and to play up the garden theme. 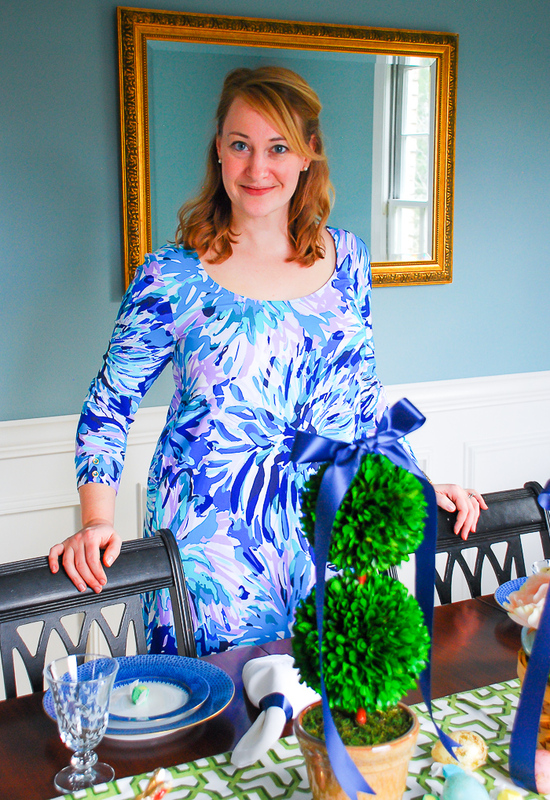 Then I laid my blue lace Mottahedeh china down for the place settings with an etched sprig goblet. 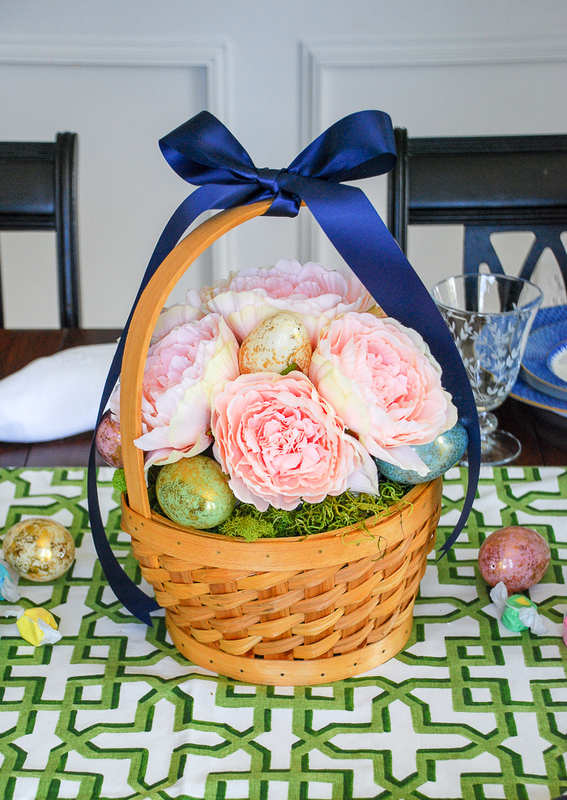 The centerpiece is a blooming Easter basket filled with faux peach colored peonies and foiled pastel eggs. 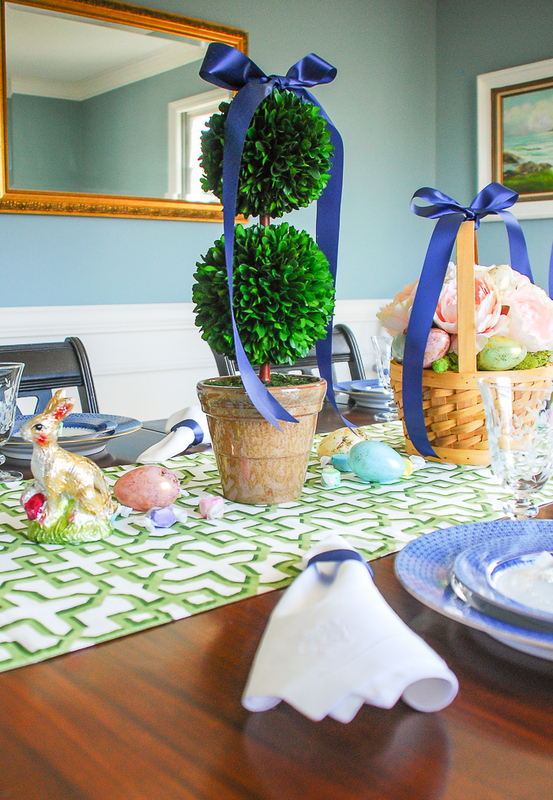 For an added touch of whimsy, I scattered a few more Easter eggs and some pastel taffy along the center of the runner ending with a cute bunny and chick as if they just wandered into the garden for a treat. 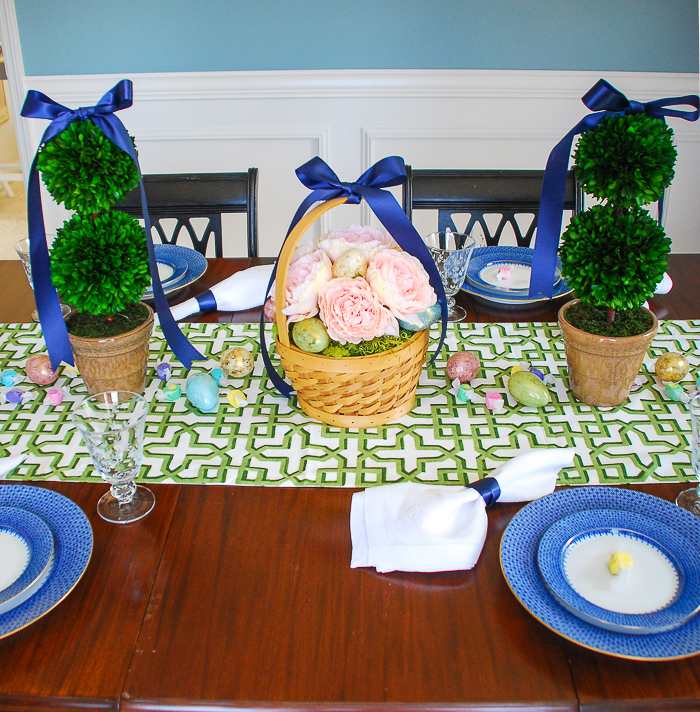 Since everything looks better with a bow on it, I topped each topiary and the blooming basket with a pert little blue bow! 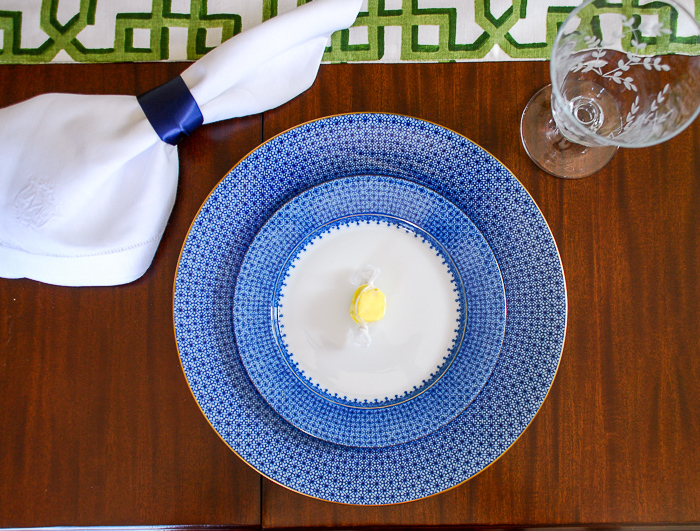 This added pop of blue helps tie in the blue lace china and create a more cohesive look. 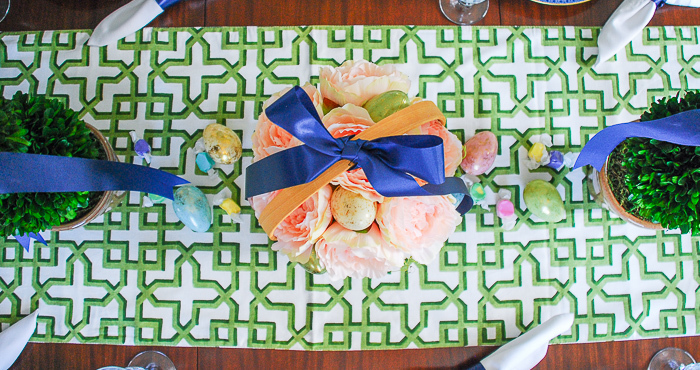 Finally, each place setting on this Easter tablescape got a beautiful white linen monogramed napkin tied with some more blue ribbon and a piece of taffy for fun! 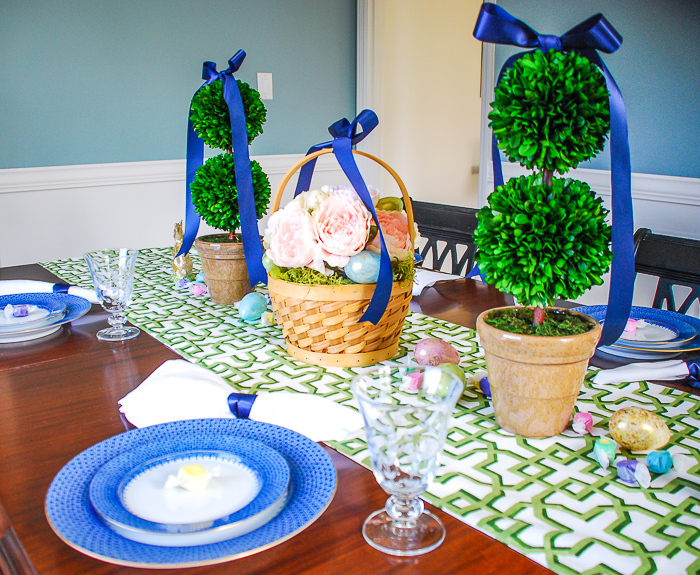 Still planning your menu for Easter Sunday supper? 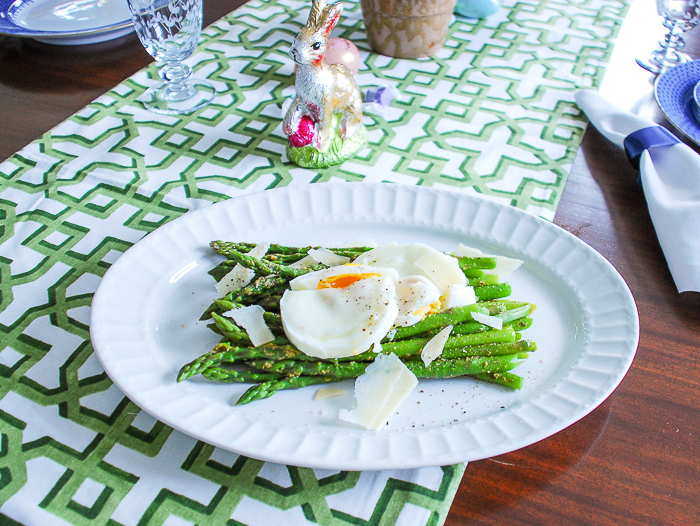 You are going to want to add my recipe for pesto asparagus with poached egg as a side dish! The dish is quintessentially spring and pairs beautifully with ham or roast chicken. Steam asparagus until tender. Poach two eggs until white is cooked and yellow runny about 5 minutes. I like these egg poachers or you can spray a ramekin with pam and set into gently boiling water. Toss asparagus in a tablespoon of pesto. Sprinkle with parmesan and add eggs on top. 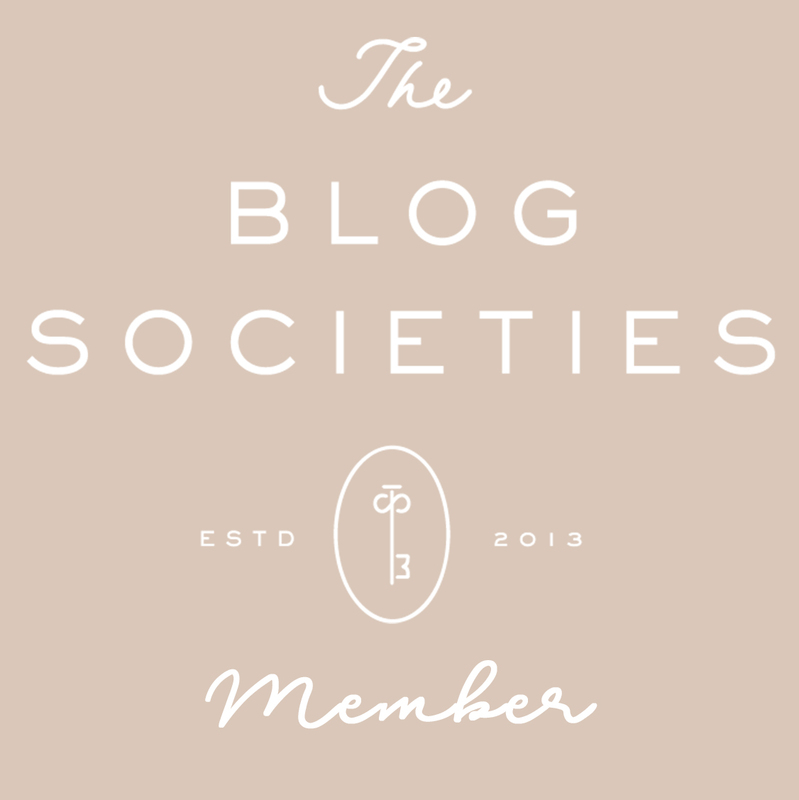 That’s it…seriously! You and your family will love this vegetable dish. It is creamy and herby with the egg and basil, and just oh so delish! 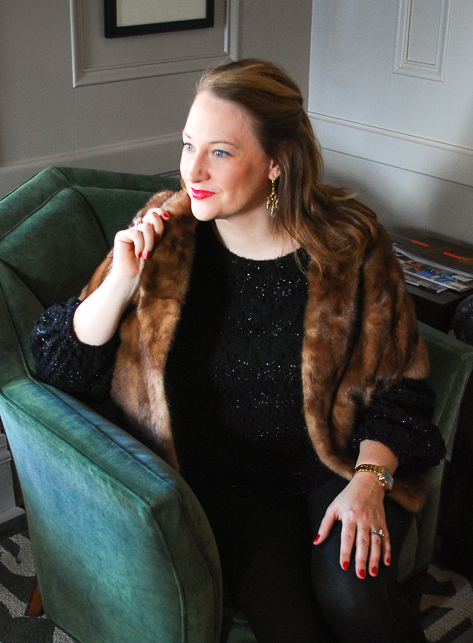 I’ve got a divine spring cocktail recipe perfect for Easter too! Check out the recipe here.